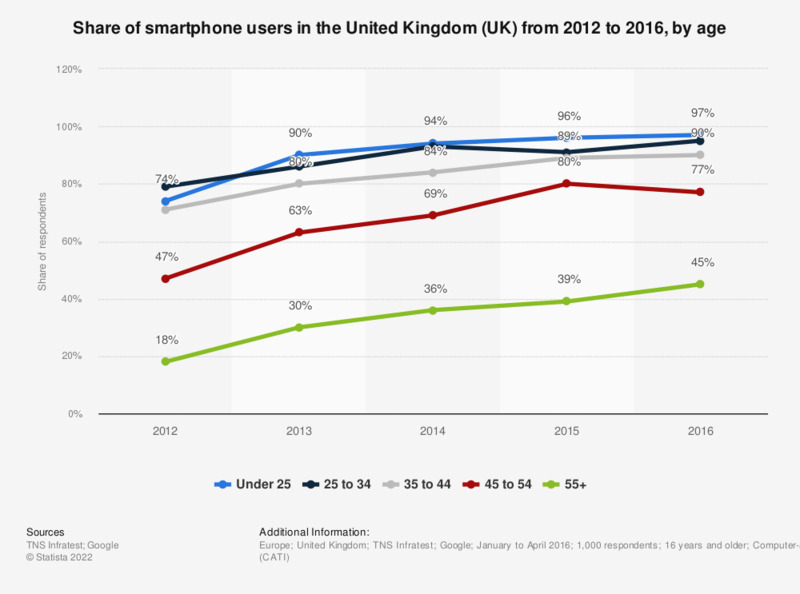 This statistic displays share of smartphone users in the United Kingdom (UK) from 2012 to 2016, broken down by age groups. In 2016, there was a smartphone penetration level of 97 percent for users under the age of 25, whereas the age group 55 years of age and older was at only 45 percent. The data was collected through the use of multiple filters available on the website.